A performance sports coupe that can give such stalwarts as Porsche and Jaguar a run for its money has to be a special vehicle, and that's just what the 2015 Nissan GT-R is. The knowledgeable staff of Wallace Nissan in Stuart, FL, serving Port St. Lucie, Palm City, White City and Jupiter, invite you to come into our showroom and take a tour of this magnificent machine. If you're looking for a race-track capable sports car, the 2015 Nissan GT-R is the one for you. Let's see how the 2015 Nissan GT-R compares with the Jaguar F-Type. You'd think that with a sports car this prestigious, one ultra-powerful performance engine would be enough, but in the 2015 Nissan GT-R, there's actually two available. The first is a 3.8L twin-turbocharged V6 engine with a whopping 545hp and 463 pound-feet of torque; a beastly powertrain that also earns a ULEV-II emissions rating. The other engine is a NISMO-tuned 3.8L high-capacity twin-turbocharged V6 with an unbelievable 600 horsepower and 481 pound-feet of torque. A dual-clutch 6-speed transmission with three driver-selectable modes for maximum power and efficiency, and fully automatic shifting with paddle controls is standard on all models, as does AWD. The GT-R features 20" rims standard, which give this amazing sports coupe its panache. 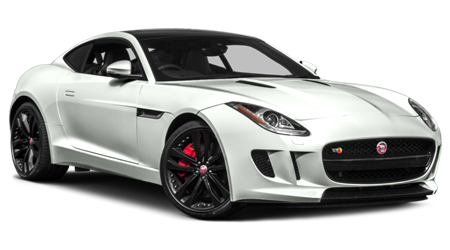 The Jaguar F-Type comes with two available engines as well; a 3.0L V6 supercharged with 340hp (or 380hp in the F-Type S) and 332 pound-feet of torque, or a 5.0L V8 with 550 hp. Both are available as either a 6-speed ZF manual or 8-speed quickshift ZF automatic transmission. Even the base GT-R engine slays that in the F-Type and in the NISMO trims, "Godzilla" stomps out the Jag's competition even more soundly. Just in case you want to take passengers on your power-filled ride, or even when just tooling around the neighborhood, the 2015 Nissan GT-R seats 4, while you'll only be able to ride solo or with one other person in F-Type. Nobody buys a supercharged performance car just for looks, so what can these babies do? Well, hold on to your hats, an awful lot. 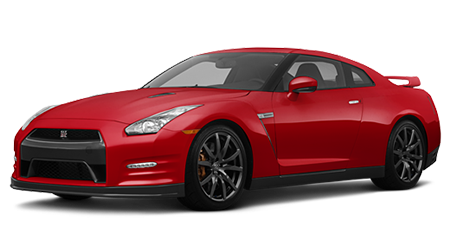 The NISMO 2015 GT-R can go from 0-60 in just 2.9 seconds with the 600hp engine, and a top speed of up to 191 miles per hour (racetracks only, please.) By contrast, the F-Type with 550hp can reach a top speed of 186 and can go from 0-60 in 3.5 seconds. So, if you're ready to race, the 2015 Nissan GT-R is the faster beast.